Inevitably there will be clients, tenants, or employees who are stubborn and don’t follow up on their obligations, agreements, and instructions. For an employee, if they are given a final notice as a result of their misconduct in their workplace, they still think that they are entitled to a resignation notice pay, which is not going to happen. Take that as a measure if you receive a final notice. 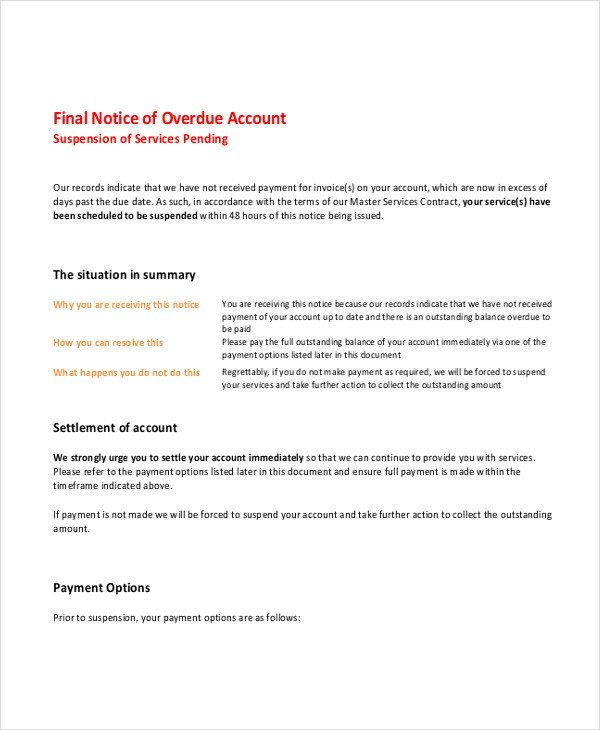 A final notice is treated as a legal document because used in financially related circumstances, such as failure to pay an overdue account. 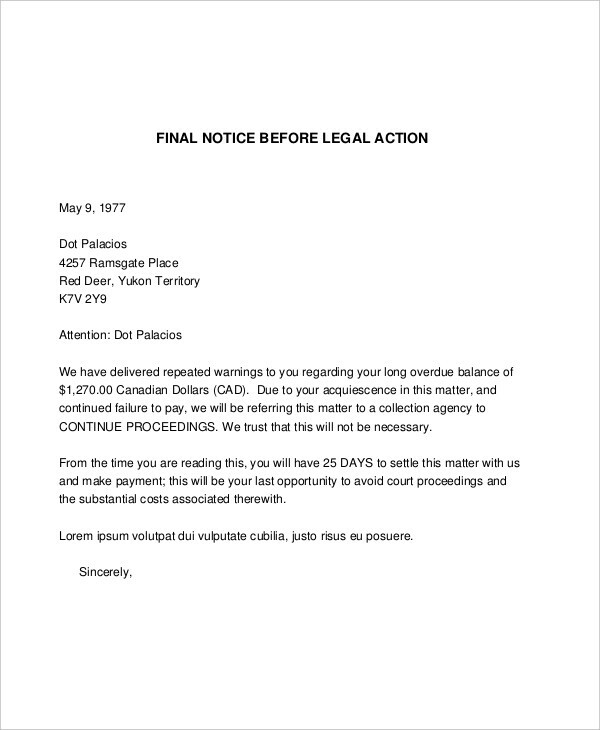 A final notice will result in a legal action if it is ignored or the addressee fails to comply. 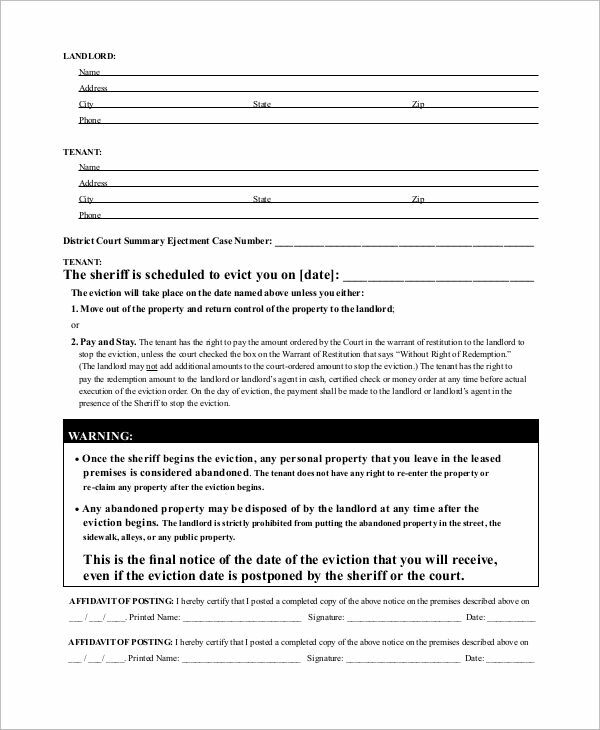 In some cases, such as when a tenant decides to leave without notice, landlords are still entitled to give a final notice that will eventually lead to a termination notice. What Is a Final Notice? If the warning notice is not enough or does not make any significant changes, then a final notice is used. A final notice is a last and legal step to warn someone or the other party that action will be strongly taken if the obligations are not met. 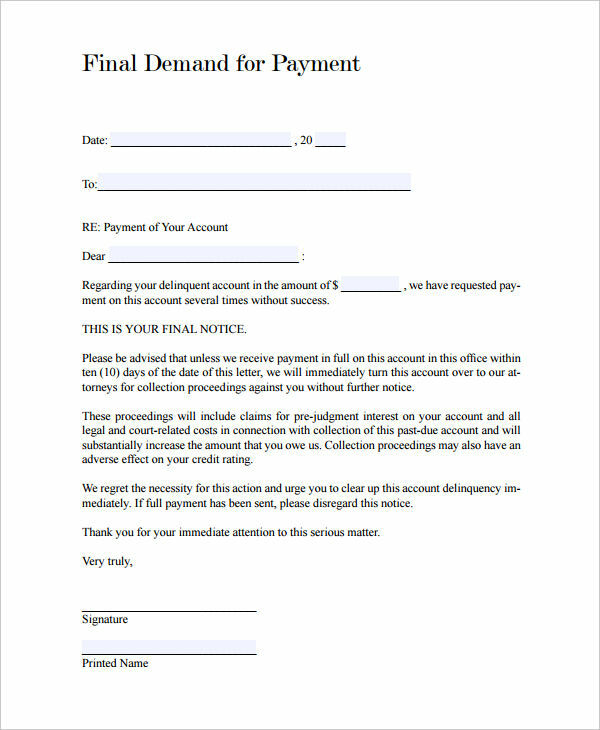 For example, if the client does not pay his overdue account on or before the specified date despite previous notices, then he will receive a final notice. 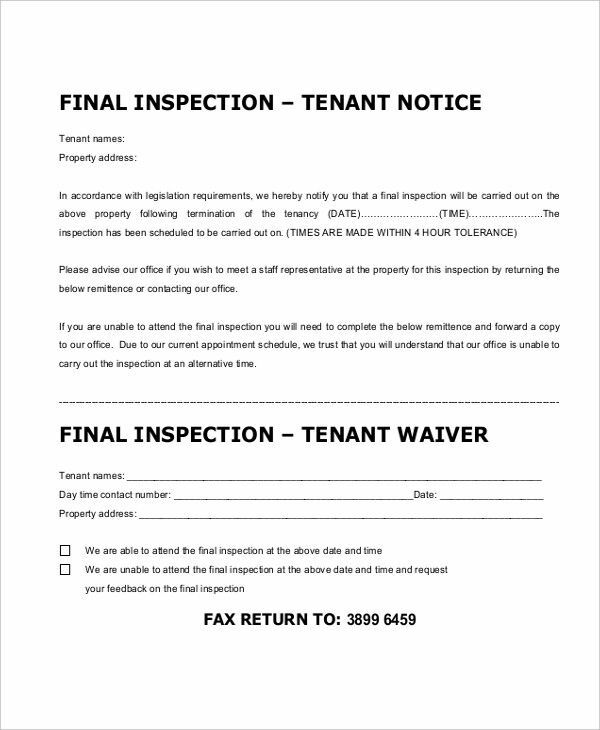 But, a final notice is not only used if the payment is not made, this is also used for employee and tenants who shows bad conduct and misbehavior. Why Do We Need a Final Notice? For those who issue the notice, a final notice will inform the other party, legally and assertively, that their irresponsibility will be addressed seriously and that there will be legal actions to counteract their unlawful doings. To avoid being on the receiving end of a tenancy notice, you might want to draft a cancellation notice before you are given asked to leave. 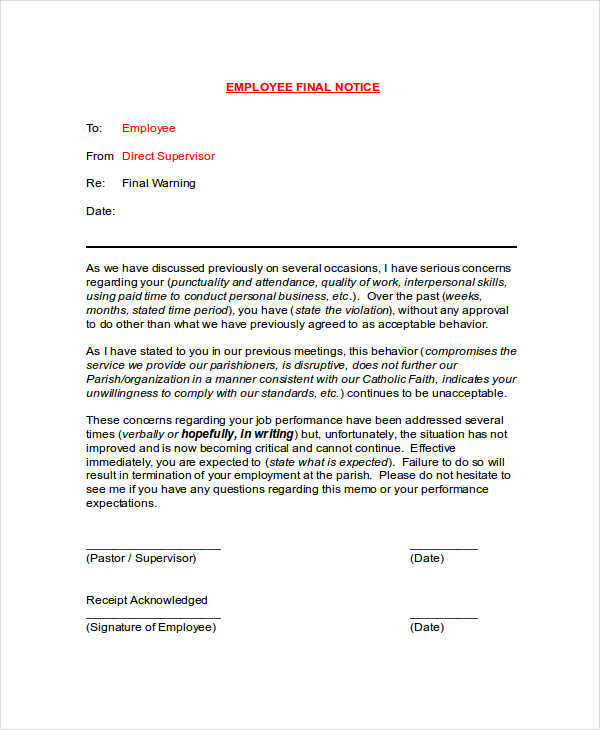 We know that a final notice is a very serious form of document. The way it is written and the context of a final notice can make the difference for someone who agrees to comply and follow the necessary commitment. If a final notice is not well-written and poorly handled, chances are it will be ignored or it will not be taken seriously. When writing a final notice, keep in mind that it is a legal document. It should be written with professionalism and formality. This is for the recipient to take the notice in pdf very seriously. Always include the important details, such as the date and the name of the people or the party involved. Clarify the reasons as to why you are giving a final notice. It should be clear enough to avoid confusions. Specify the date of the final notice to take effect. For someone who has not made the payment, specify also the final date that they are obliged to pay. To save yourself from the hassle of writing a final notice, just download our free notice examples provided in this article.